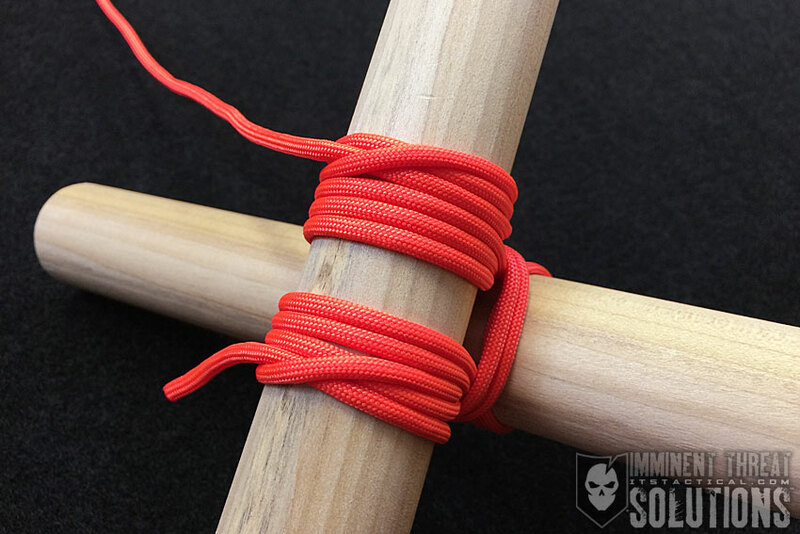 Lashings are an often overlooked part of a balanced knot tying curriculum and extremely important in constructing weight bearing structures. Properly applied, lashings can handle an enormous amount of weight. 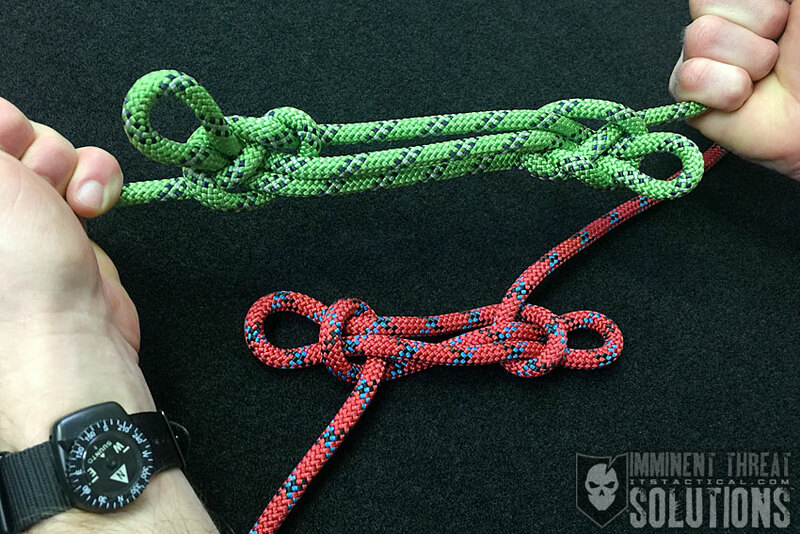 As shown in the photo above, I’ve used paracord and dowel rod for demonstration, but this should never be used on weight bearing structures. It will slip too easily. Boy Scouts utilize lashings on their intricate and massive pioneering projects and commonly use cedar spars. 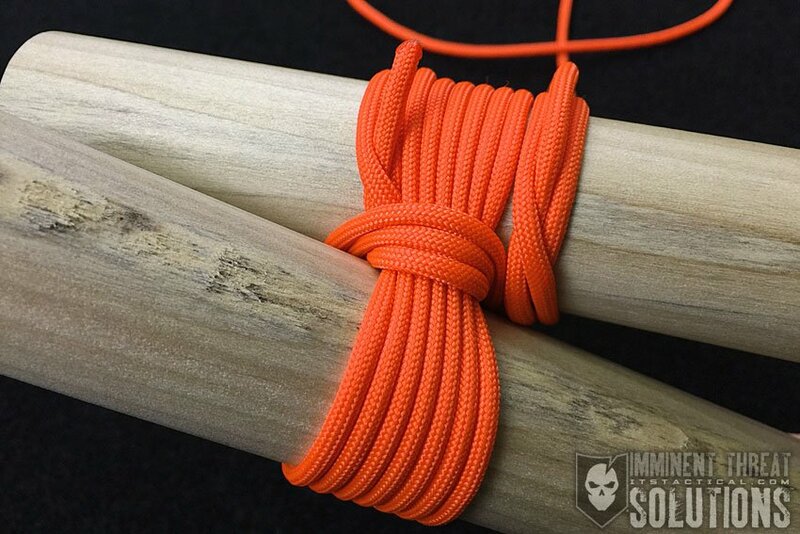 The combination of cedar and natural fiber rope, really bites well and create lasting structures capable of supporting weight well. (Strength: 5/Security: 4/Stability: 3/Difficulty: 3) See below for what these ratings mean.